Could your cabin use an extra bed or two? 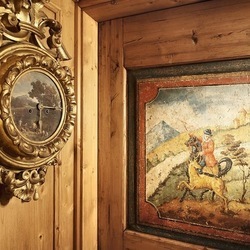 It seems a fact of mountain living, especially when it comes to vacation homes, the more beds, the better the vacation. Family reunions, ski holidays, summer camp...large groups getting together to share the fun. 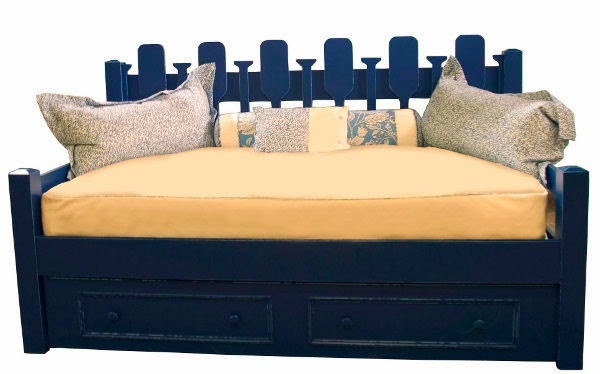 Daybeds are just what they sound like. By night they serve as a comfortable twin size bed, but by day they double as sofa-style seating. 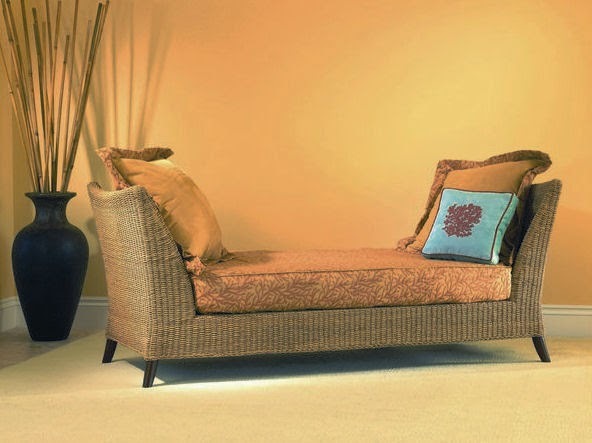 They are a practical way to tuck a bed into living rooms, sun rooms, dens, libraries and even wider hallways. Pinecone finials...perfect for a cabin. 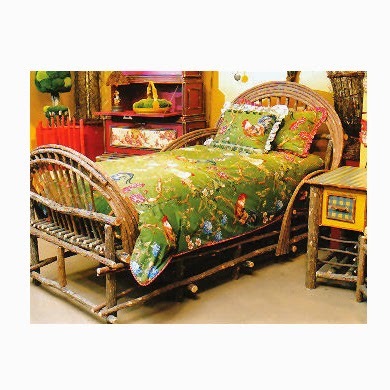 This bed is from Farmhouse. 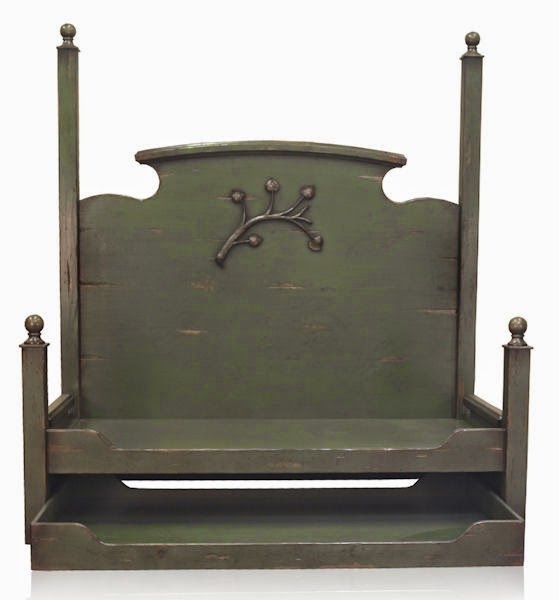 Millcreek makes this charming painted and carved daybed. 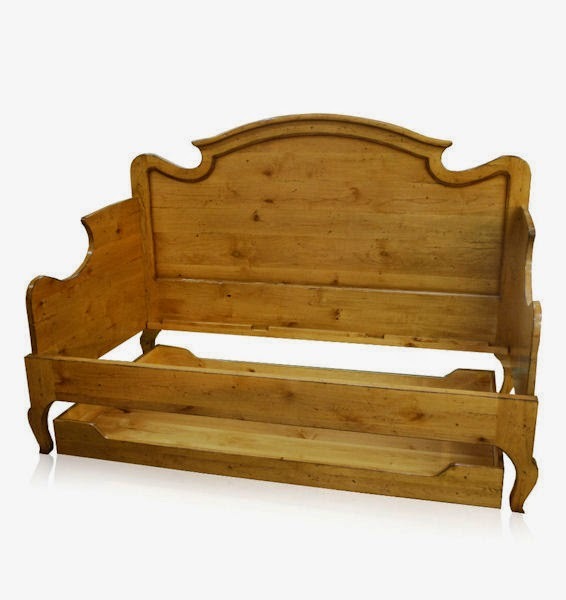 Many daybeds can be ordered with an optional trundle which can be pulled out at bedtime to sleep an extra person. 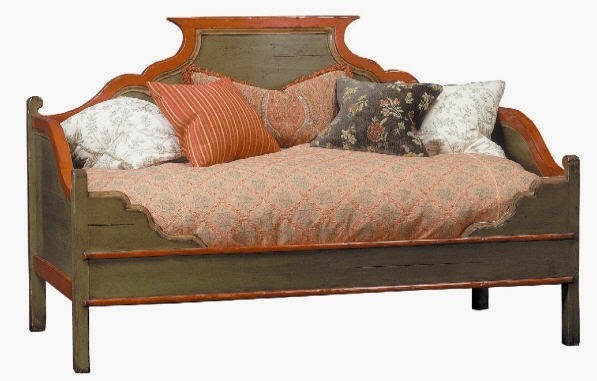 This handsome daybed is from Restoration Hardware. I love the rustic texture of wicker in mountain houses. 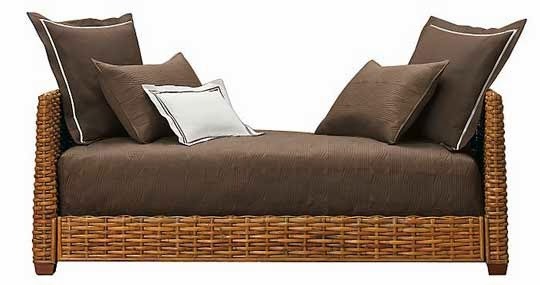 Another wicker daybed from David Francis. 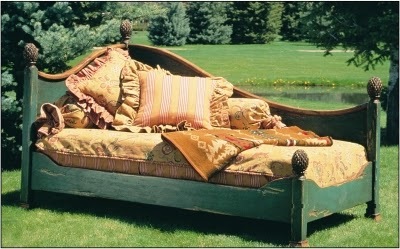 A canoe paddle themed daybed from Seabrook . 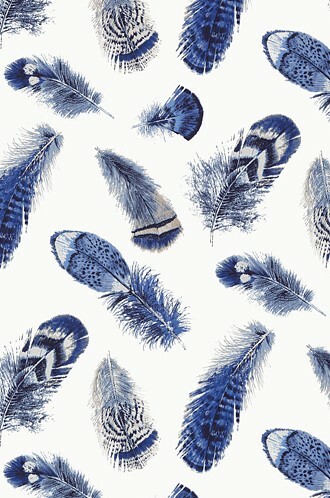 Why not do an antique? Above an old Stickley daybed. 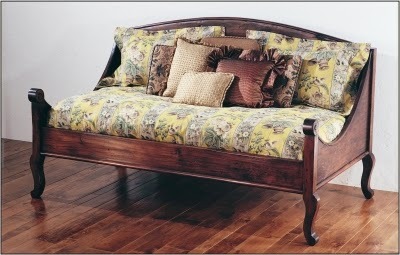 And a charming bent willow daybed from Willows, below. 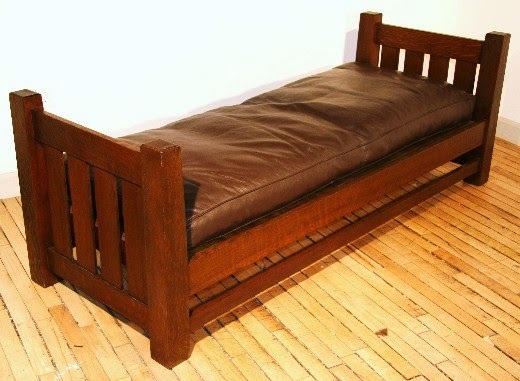 Finally, my all-time favorite daybed, the Jolliette from Woodland. Below, the Joliette with a trundle installed into a client's bunk room. 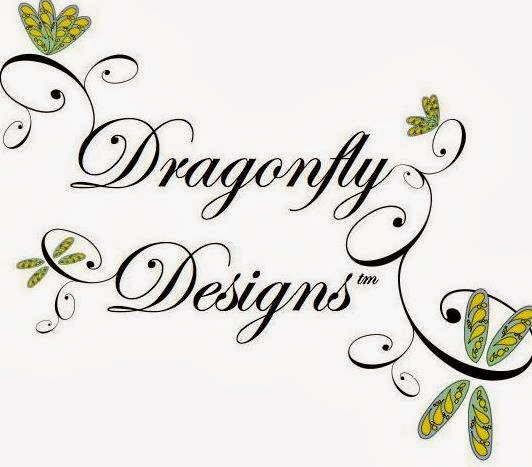 All beds available through Dragonfly Designs (530) 583-6076.